The money will also go to things like rapid-charging hubs and street lighting that double as charge points. Ministers say “25,000 parking spaces will also be opened up for plug-in car owners saving commuters as much as £1,300 a year”. “We are all in favour of encouraging drivers to go ultra-green, but the risk of relying on perks such as access to bus lanes, free parking and exemption from London’s congestion charge is that they can be at odds with other policies such as promoting public transport and easing congestion. “London is awarded £13 million to create ‘Neighbourhoods of the future’ prioritising ultra-low emission vehicles (ULEVs) in several boroughs across the capital proposals include over a dozen streets in Hackney going electric with charging infrastructure such as car-charging street lighting, while Harrow will develop a low emission zone offering parking and traffic priority to owners of plug-in vehicles. 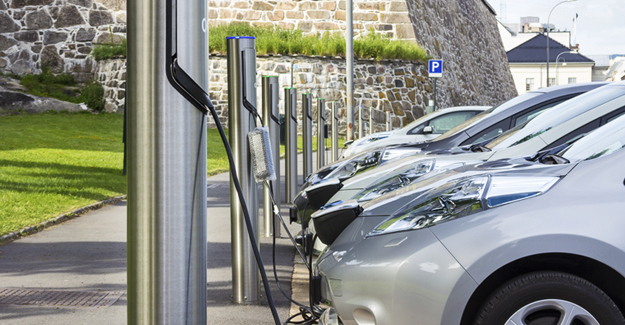 Westminster Council already provides free parking for ULEVs and London’s proposal aims to deliver 70,000 ULEVs sold by 2020 and almost quarter of a million by 2025. “Milton Keynes will receive £9 million to open a city centre Electric Vehicle Experience Centre — a ‘one stop shop’ providing consumer advice and short-term vehicles loans the city also proposes to open up all 20,000 parking bays for free to EVs and co-brand bus lanes as low emission lanes giving plug-in vehicles the same priority at traffic lights as local buses. “Bristol get £7 million to offer residents free residential parking for ULEVs, access to 3 carpool lanes in the city, over 80 rapid and fast chargers across the city and a scheme encouraging people to lease a plug-in car for up to 4 weeks to help them better understand the range of benefits that electric vehicles bring Nottinghamshire and Derby will use £6 million of funding to install 230 chargepoints and offer ULEV owners discount parking and access to over 13 miles of bus lanes along key routes across the city the investment will also pay for a new business support programme letting local companies ‘try before they buy’.